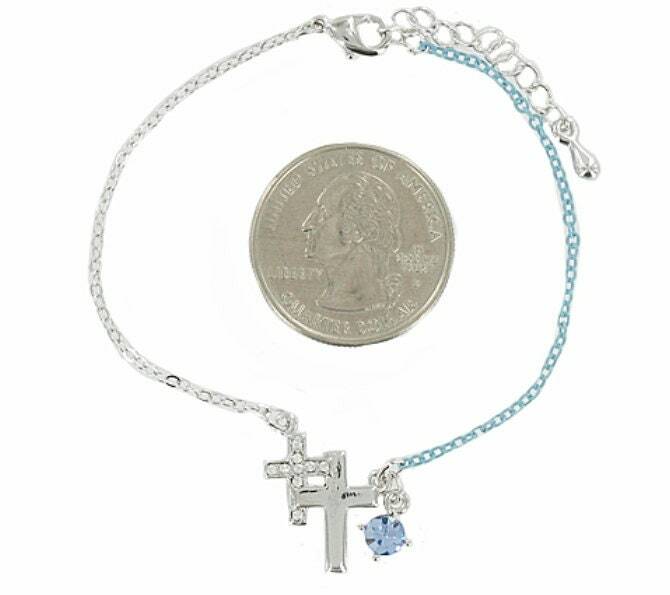 Petite Silver Rhinestone Double Cross and Blue Chain Cuff Cross Bangle Bracelet. Super elegant, Super petite! Bracelet measures 7 1/2".